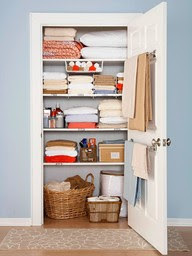 Jessie Street Designs: Quick and Easy Organizing Tips! Quick and Easy Organizing Tips! A few weeks ago, a charity group contacted me to see if I would be interested in donating any clothes and household items - I ALWAYS arrange a pick up when one of these organizations calls me and they usually schedule a pick up time a few weeks later so even if I don't have anything to donate when they call, I can usually come up a bag or two by the pick up date. So, today they are coming for my stuff. It always feels good to clean out area of the house and I love that these items are going towards a great cause! Being organized and clutter free does not come naturally to me (I'm a piler!! )....my house may look neat and tidy on the surface...but if you were to open a drawer - it's a MESS!! My goal for 2012 is to purge, organize and purge somemore. That's why I love these donation pick up days - it forces me to go through things and get rid of stuff I don't use anymore. I've started keeping a spot in our bedroom and basement dedicated to "donations" and it seems to be working really well for me. Here are some projects that I'd like to tackle for our house. Sometimes, small changes can make a huge difference! 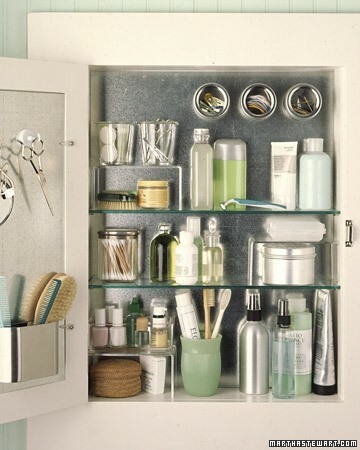 I think that using the inside of your cabinet doors is a terrific way of organizing and keep clutter off the counter!! 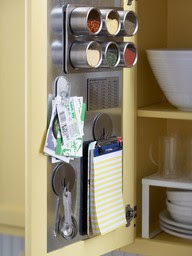 You can use corkboards or magnets and store coupons, spices, recipes, pictures and even utensils (as seen below) - genius! This is another creative idea - what a great use of space and keeping everything visible and in it's own spot - there is a lot of stuff in that cabinet, but it doesn't look cluttered! 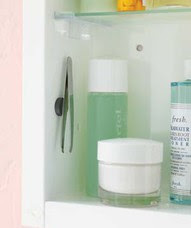 And if the picture above isn't doable in your cabinet, this is a smart and simple alternative. I think that I should hang this in my house - perhaps inside my cabinet door (once I get my magnetic and corkboards up!) 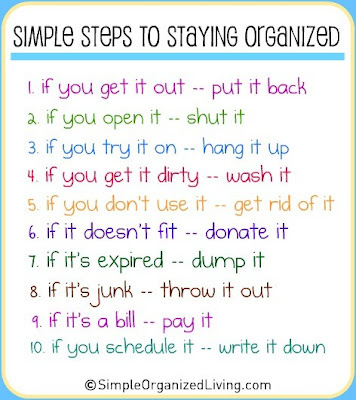 Simple, easy rules for staying organized. Tell me, what are your organizing and purging tips and tricks - I can use all the help I can get! 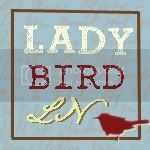 See the sponsor tab for information on having your ad here!